Dean, Cobain, Winehouse. All amazing talents. All young with amazing careers ahead of them. All dead. Each dying far too young after a life of drink, drugs and most probably anything else they might find. After being at work and my boss receiving a text about Amy Winehouse’s death, my response was odd. I wasn’t surprised that she was dead, more saddened that it had came down to this. I adore her album Back to Black. 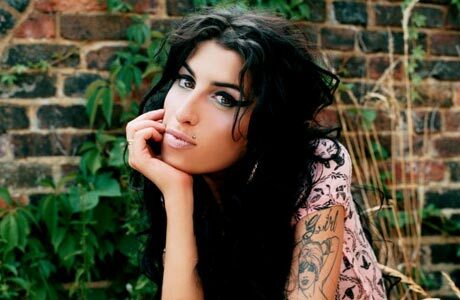 It’s so deep and dark, it really was a change in the charts from the usual pop music, and really introduced a lot of people to Jazz and Blues which aren’t exactly main stream; and I myself have found some Jazz bars which I attend, probably thanks to Ms Winehouse. I guess it isn’t suprising she has passed away. She came in to the scene so fresh and larger than life, that looking back at photos of her from her first album, Frank, it is almost difficult to recognise her, from what she became. After the drink, drugs, marriage, rehab, drink, drugs, rehab, failed tour, drink, rehab… it really follows like those before her that she wasn’t going to escape the cycle. Of course I wish that she had managed to get her self out of the situation, cleaned up and releasing much more material for years to come, but with the path she took, I can’t help thinking that it may have been better if she had died sooner, so we wouldn’t have all expected it after seeing her downfall. In anycase my thoughts are completely with her family and her friends. And I hope that her music continues to inspire.